The Middle East respiratory syndrome coronavirus is one of the recently discovered respiratory illnesses, in human beings. This disease was first identified in Saudi Arabia, in 20128. It has since spread to several other countries, such the Republic of Korea, causing a widespread panic. However, with the rise of modern treatments and preventions, new novel techniques will be developed and will lead to fewer outbreaks in the future. MERS-CoV, also called the Middle East Respiratory Syndrome Coronavirus, is a novel coronavirus that originated from Saudi Arabia in 20128. It is known as a coronavirus, because of its crown-like projections on its surface. 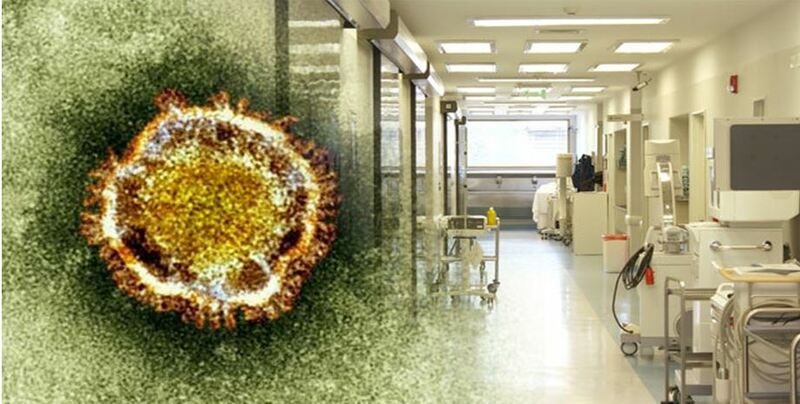 MERS-CoV comes from a large family of coronaviruses, six of which are known to infect humans and can cause disease ranging from the common cold to SARS (Severe Acute Respiratory Syndrome)10. Once infected with MERS-CoV, the individual will display signs of fever, cough, shortness of breath, pneumonia, gastrointestinal symptoms, and including diarrhea. However, the fatality rate is as high as 40% to 60% in areas found near Saudi-Arabia and its neighboring countries9. There have also been many reports of outbreaks outside the Arabian Peninsula, such in the United-States since travelers or healthcare workers were traveling in infected areas of the country. However, the largest known outbreak to occur outside this peninsula happened in the Republic of Korea in 2015 where 36 people died from this disease14. This novel treatment is the most recent known treatment to have been successfully seen as a primary and preventive treatment for the MERS-CoV infections. Research on this treatment, led by Heinz Feldmann, was shown through clinical trials on two different group of rhesus macaques, a type of monkey; the untreated infected and the treated infected. It was demonstrated through collected data that the ones that received interferon-alfa (IFN-?) and ribavirin did not acquire breathing abnormalities, showed low levels of serum and lung proinflammatory conditions. Also, they also showed no or very mild radiographic indication of pneumonia. Following the pattern in the data, it was proven that the treatment had improved the outcome of reducing the virus replication of MERS-CoV in the rhesus macaque5. Moreover, a human clinical trial of this treatment is underway in a patient and prophylaxis with his wife13. This combination of treatment and prevention is the first one of its kind. This novel treatment (vaccine) is one of the first to be tested in human beings. The study’s recently started in January of 2016 and will end May of 2017. Its purpose is to see if the vaccine is safe for people. This vaccine will be tested on civilians and military personnel alike, in a one year period by WRAIR (Walter Reed Army Institute of Research)12. GLS-5300 is a DNA plasmid vaccine, whose use is to stimulate humoral and cellular immune responses to protein antigens efficiently (https://clinicaltrials.gov/ct2/show/results/NCT02670187). ELISA and RT-PCR tests will continue to play a significant role in the development of diagnostic tests of MERS-CoV. Even though each of them has their weaknesses and strengths, they are the best tools out there for the detection of this kind of virus. Advantages of these devices range from high sensibility and accuracy, while disadvantages range from high sensitivity, costly, very specific to an antigen and inconsistencies in data. Therefore, there need to be newer techniques that will not be as highly sensible and expensive as the ones that are now in use. Furthermore, the only success in treatment (vaccine) development was the use of interferon-alfa (IFN-?) and ribavirin in rhesus macaques5, which resulted in reducing the replication of MERS-CoV. Moreover, there also been new clinical trials underway on genetically modified cattle, who have been designed to produce a significant amount of human polyclonal antibodies, when vaccinated with an antigen, such as MERS-CoV. Even though some human clinical trials are going on for a new vaccine called CLS-530012, in the treatment of MERS-CoV, there is not much information known about it. However, since there is no available vaccine, only supportive care, such as medical attention to help relieve symptoms, exists for human patients. Therefore, there needs to be more vaccine research and development, in order, to make a safe vaccine specifically for people.